Finally, all the worry and waiting is over and you’ve moved into your new home. So, what do you need to do now? After all your worldly goods have been unloaded and put in place, the next chapter begins. Once the removal van has pulled away, you will probably heave a great sigh of relief, and maybe have another cup of tea, before you start getting settled. There are, of course, a series of tasks to do before you can finally feel properly at home. These jobs, generally, fall into two categories; administrative and practical, and, although there might be a temptation to put them off, the sooner they are dealt with the better. Take your own meter readings on arrival at your new home and notify this information to the appropriate agencies as soon as possible. Check home and buildings insurances are in place and details are correct. Arrange or finalise dates for installation of telephone line/broadband, Sky or other services you need at your new home. Keep all paper work related to the move together in a named file. Prepare to pay the last bills related to the move as soon as possible. Check or arrange the redirection of your mail. Change your address on any necessary documentation such as driving licences, vehicle registration documents, car insurance, bank details, as well as with your employer. Acquaint yourself with the location of stopcock and electricity fuse box in your new home. Check that there are light bulbs in all sockets and that they are working. Arrange for the installation of appliances or check these are working properly. Turn on the fridge and freezer, making sure that time has been allowed for them to settle before doing so, if you have transported them from your previous home. Make up the beds, ready to crawl into when you feel it is time to call it a day! Familiarise yourself with the days for rubbish collection and recycling. Make a list and go shopping. Try to plan your meals for the next few days and do a basic food shop to stock your cupboard with essential items. Prioritise your unpacking and get rid of boxes. 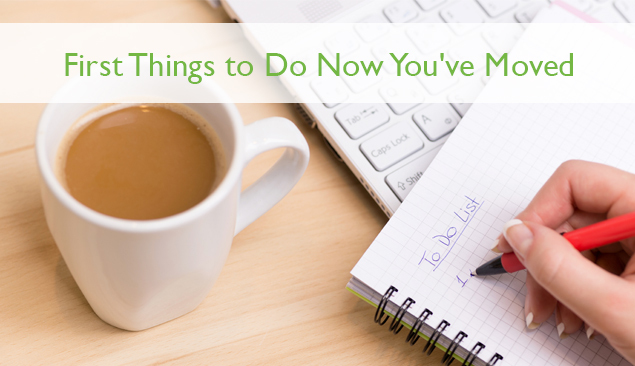 Once these tasks are completed, you really can start to enjoy your new home. Many people vow never to move house again. However, the secret to a successful, and stress-free, move lies in ensuring you are properly prepared, at each stage. If you have friends who are moving house in the near future, maybe you can make their experience a more positive one by sharing what you have learned from your move with them.